CD137, also known as 4-1BB or ILA (for Induced by Lymphocyte Activation) is a 39kDa type I integral membrane protein of the TNF/NGF family. CD137 is expressed on activated T and B cells, NK cells, monocytes and follicular dendritic cells. Differential splicing leads to the release of a 16-kDa soluble from activated T cells. 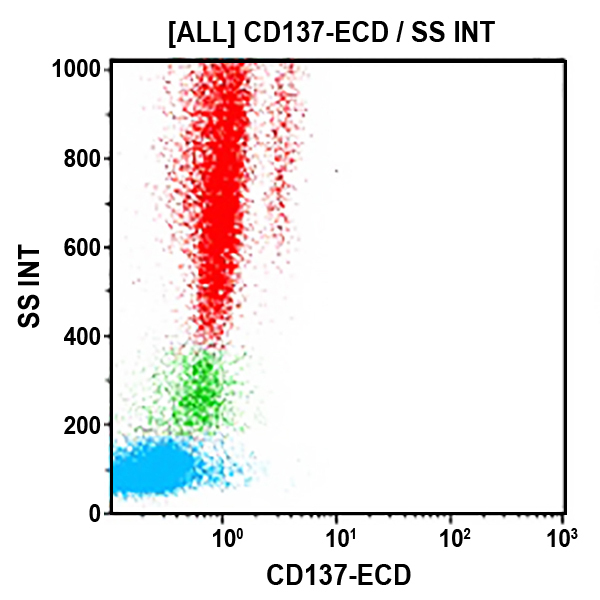 CD137 is involved in monocyte activation by inducing an increase in the production of IL-6, IL-8 and TNF-α, and an inhibition of IL-10 production. In addition, CD137 plays a role in the induction of B lymphocyte apoptosis and the co-stimulation of T-cell proliferation.